After some stressful situations, I am thrilled that 7 projects are well underway. 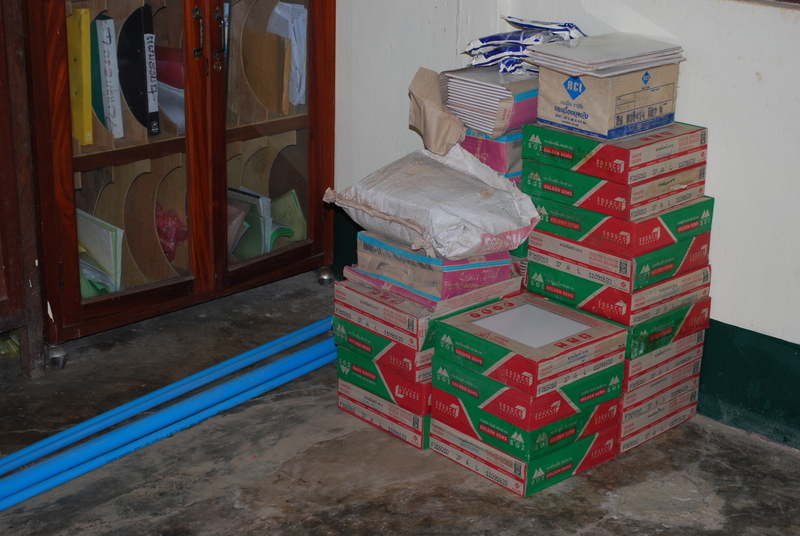 In fact more materials will be ordered today and delivered tomorrow to the projects. I had hoped to go myself but so many things happening and I need to stay focused here in Luang Prabang. 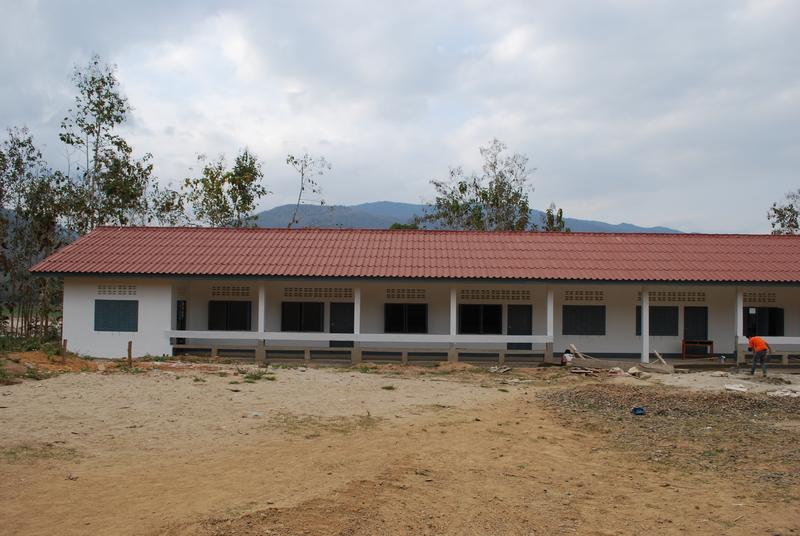 Firstly, I am surprised at the speed in which Nong Boakham Secondary School is being built. 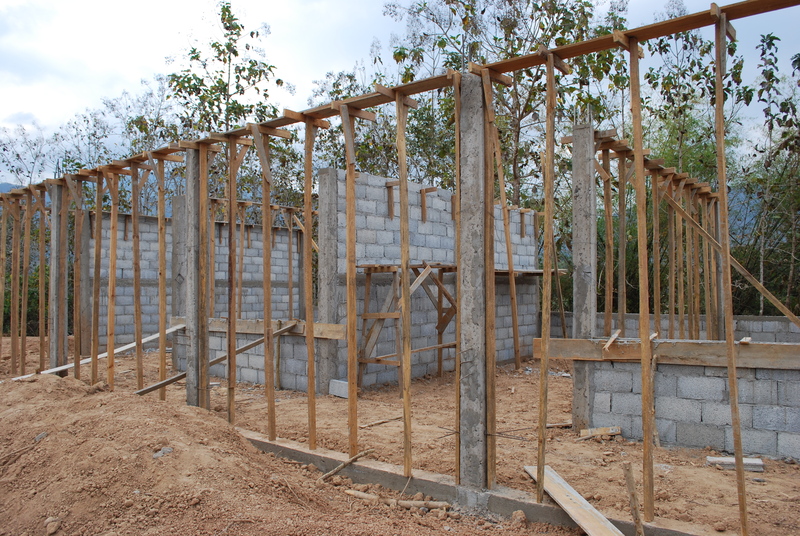 It will be a 6 room school but I was only able to raise money for the first 2 rooms this year. This is the most expensive school so far but for a variety of good reasons. 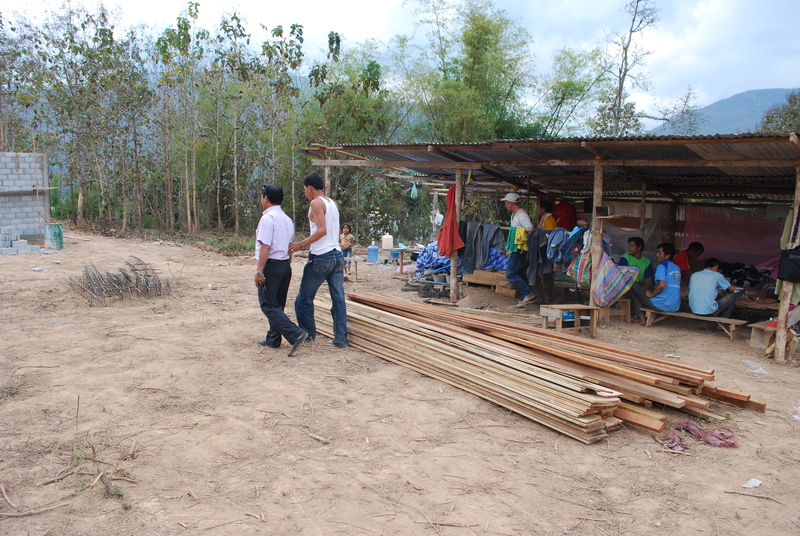 Each room is costing about $10,000 although that includes contribution to the toilet construction. Still if any of you have sources that can contribute towards a room or perhaps do a fundraiser for a room named after them, I can’t tell you how much this would mean to this village of 300 families plus surrounding villages. Here are a few pictures of what has happened in the last couple of weeks. After just 2 weeks - window and door frames arrived yesterday so work goes on. The above picture gives you a rough idea as to what the secondary school will look like, although it will be different colours, larger classrooms and more of them. 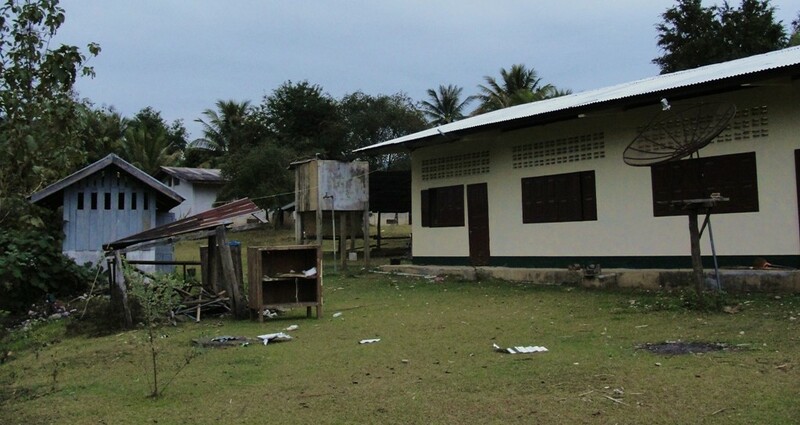 This primary school is located about 200 metres from the secondary school. We hope one day to add a library with computers but of course we need to finish the rest of the school first. Power has arrived at the village although not connected yet. 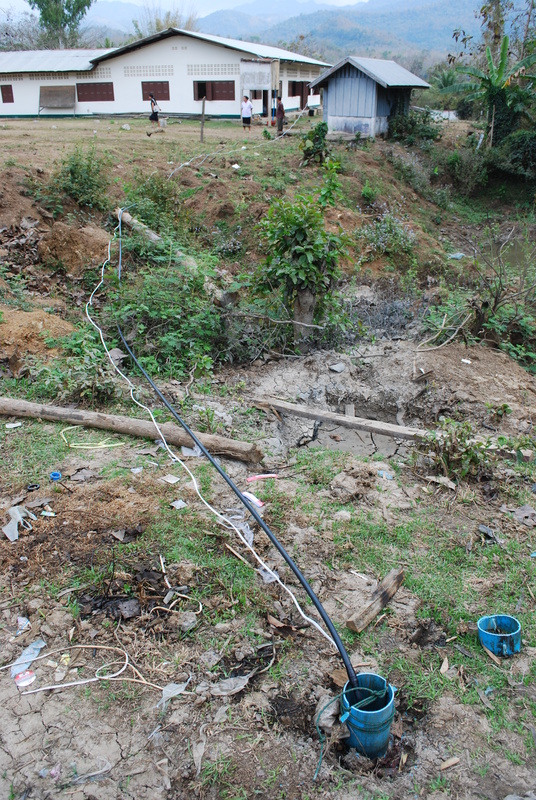 Water was also provided BUT it was poorly constructed – not sure who sponsored it but the piping was placed on the riverbed and was destroyed by the fast moving river during the monsoons. I would love to find out what is being done about it. Fortunately for us, they fixed the road leading to this new village and it cut down our travel time by 25 minutes, not to mention improving the truck access. Next has to do with the Rotary Club of Oshawa and the derelict Meung Luang Hospital, located in Meung Khai, I spoke about in previous blogs. This hospital had no water except when it rained. Last year all we could do was provide a couple of water filters for the hospital because there wasn’t even a cover for the water tank – I wondered if there were rats floating around up there. 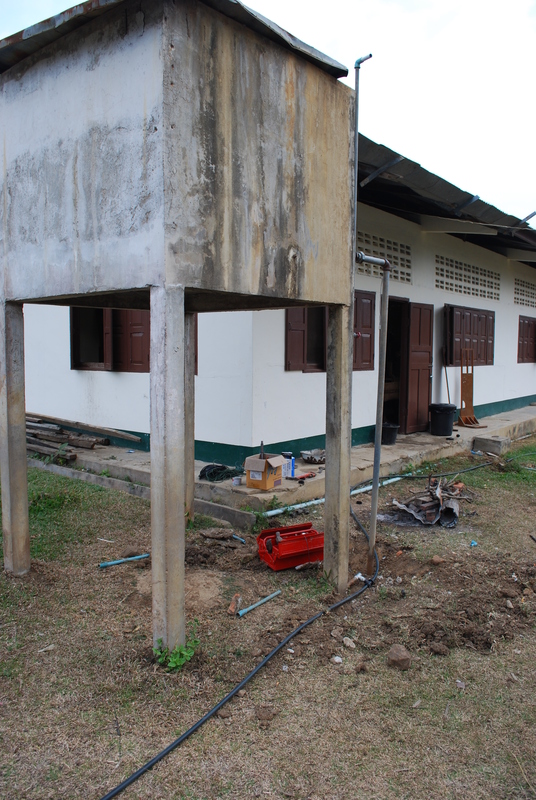 As of two days ago, the hospital has its own well and pump. 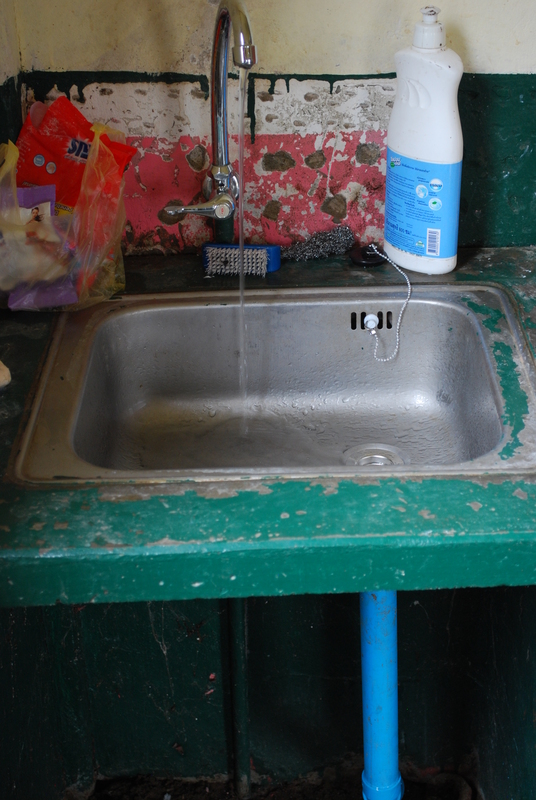 Along with that, all sink fixtures and pipes have either been repaired or replaced. NOW they have water!!! There are still things to do there including the tiling of the floor in the birthing unit and some minor upgrades elsewhere. 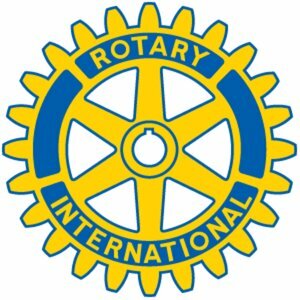 This project is wholly funded by the Rotary Club of Oshawa, which is only the second Rotary project in the country. The previous project was located near the Vientiane capital years ago and when I asked about it, they couldn’t remember the details. Here are some reminders of the hospital followed by the updates. 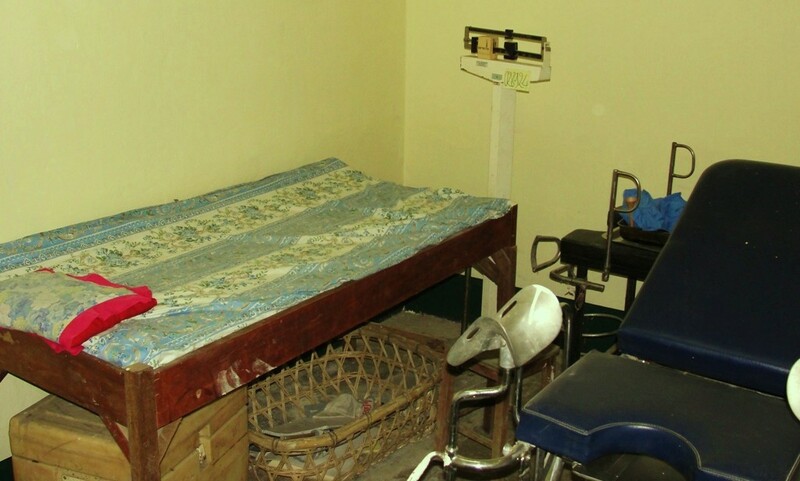 Reminder of what the hospital looked like. Water Tank - cable/pipe still to be buried and new top of the tank to be done. The Well and Pump - still needs a security cover to prevent theft of the pump. Tile and grout for the birthing unit - to be done over the next couple of days. I am told that the project should be complete before the end of the month. Next year, and I hope there is one, would be to tile the entire hospital floor; replace the latrines and include hot showers; provide a covered walkway over to the latrines and a personal goal of mine is to make the front of the hospital look a little more appealing by doing some landscaping, perhaps add a bench or two. Fortunately it doesn’t cost and arm and a leg to landscape here.